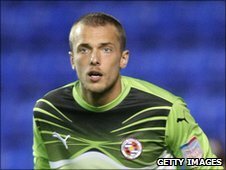 Exeter City have made their first foray into the January transfer window, signing Reading goalkeeper Ben Hamer on a three-month loan deal. The 23-year-old joined Reading in 2005, but has only played four times for the club, having had several spells on loan at both Crawley and Brentford. Hamer made 75 league appearances for Brentford during four separate loan periods at Griffin Park. The keeper played in Brentford's 4-2 win over City last October.